How many of you have fantasized about playing Stormtroopers in your childhood? 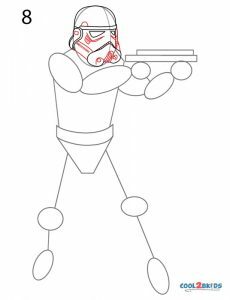 Well, here is a chance to express your fandom by sketching the fictional hero. 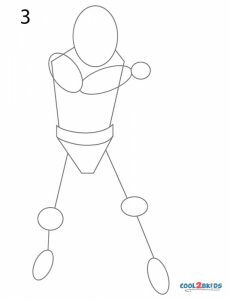 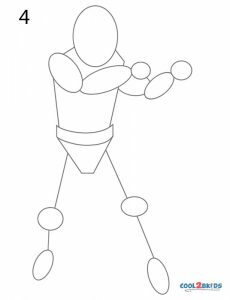 If you have drawn human figures before, you will find this exercise pretty simple. 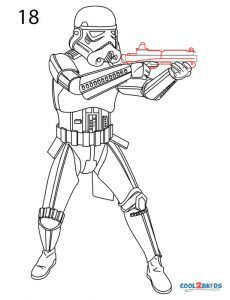 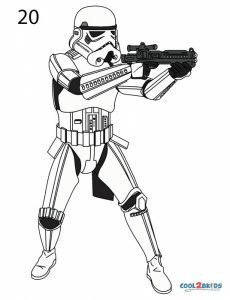 Step 1: Draw an oval guide for the face over a box-shaped one for the trunk of the Stormtrooper. 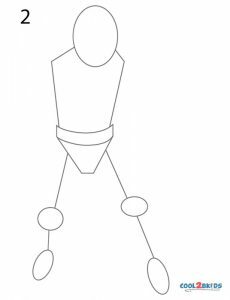 Step 2: Sketch a triangular structure below with slanting lines emerging from it, interspersed with ovals. Step 3: Draw a set of three connected ovals as guides for the left hand. 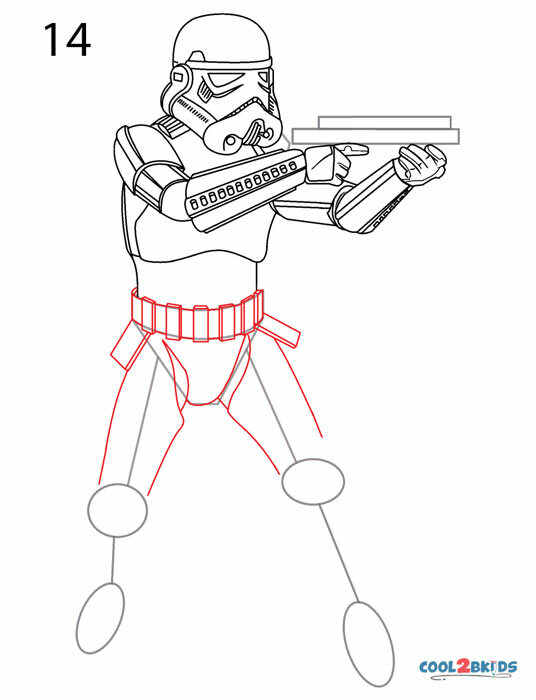 Step 4: Follow it up with similar guides for the right hand. Step 5: Draw intersecting lines on the face and make two rod-like rectangles over the hand guides. 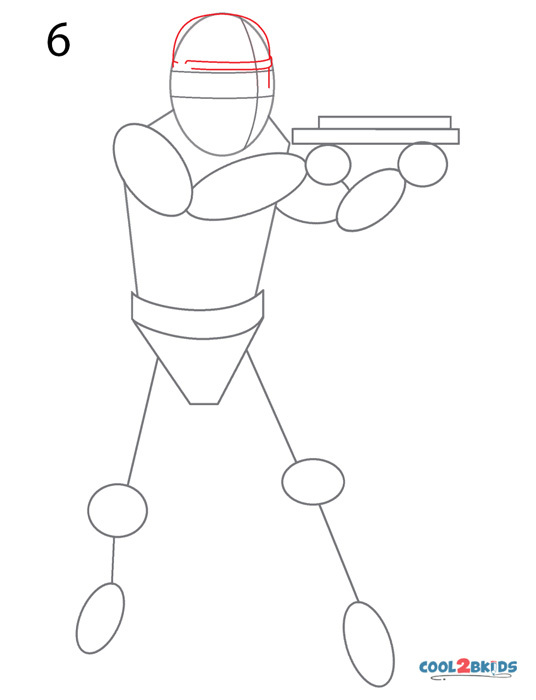 Step 6: Detail the head with curved lines. 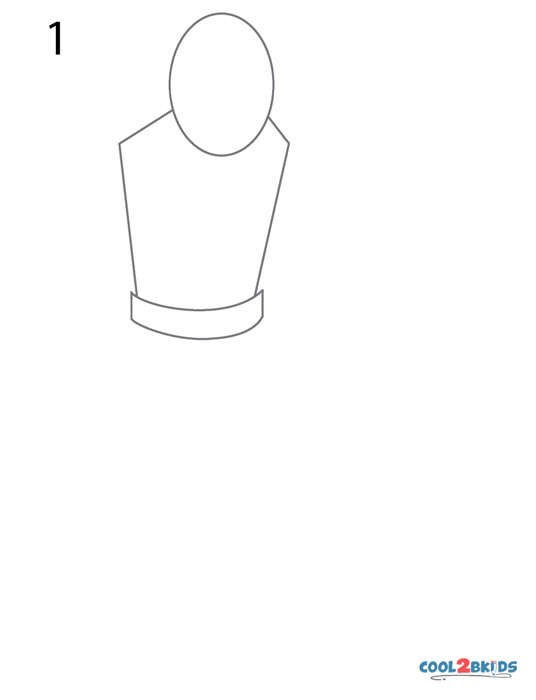 Step 7: Draw the mask with the eye and mouth cavities and the ear strap. 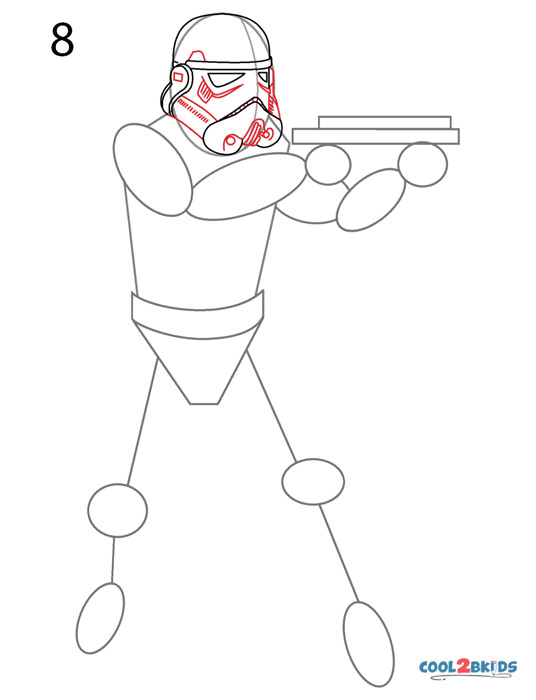 Step 8: Define the mask with tiny double lines. Step 9: Start sketching the left arm. 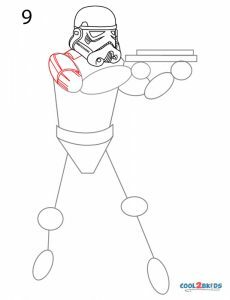 Step 10: Draw the hand shield. 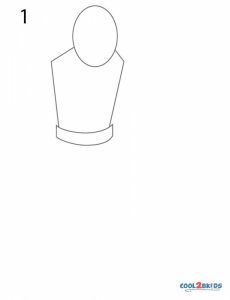 Step 11: Draw the fingers, detail the hand shield with tiny circles and the shoulder strap. 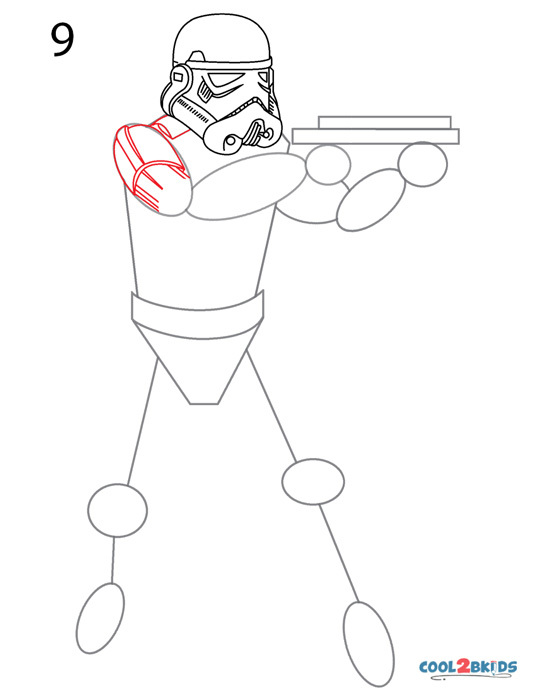 Step 12: Repeat with the right arm. Step 13: Define the right fingers and the torso. Step 14: Detail the waist and the legs. 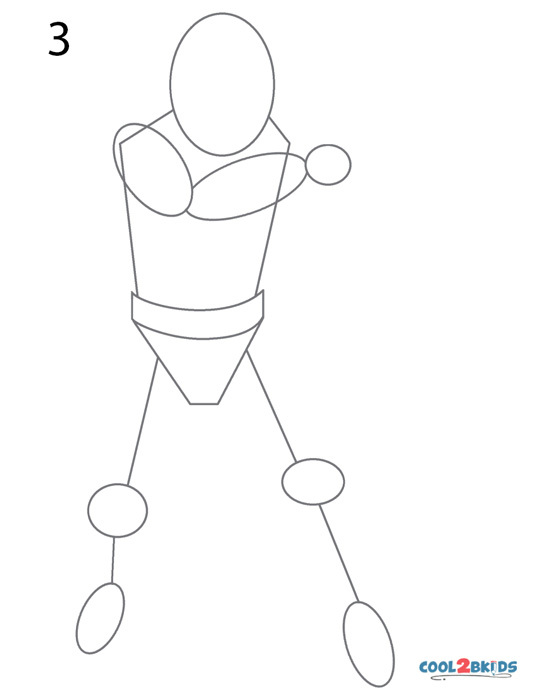 Step 15: Straight lines with dots in the middle give the costume a machine-like look. Step 16: Now it is the turn of the knee caps to get detailed. 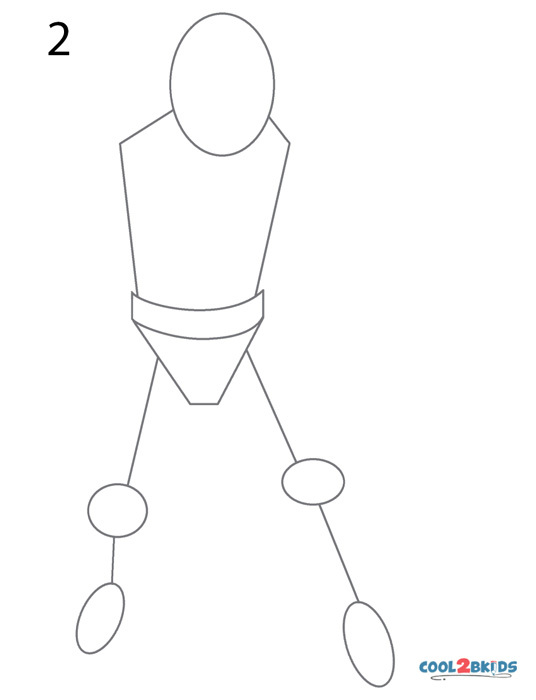 An angular flap is hanging from behind. 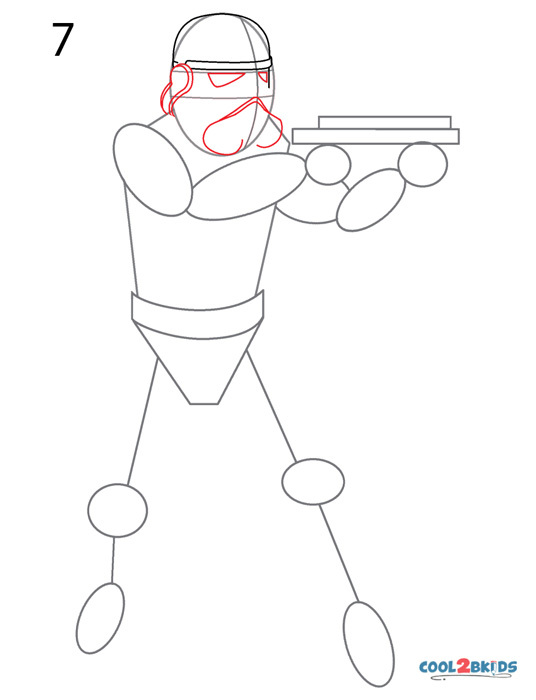 Step 17: Finish off the legs and the shoes with slightly curved lines. 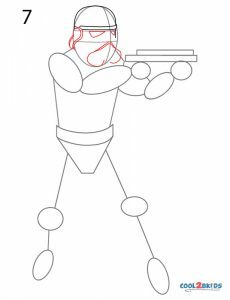 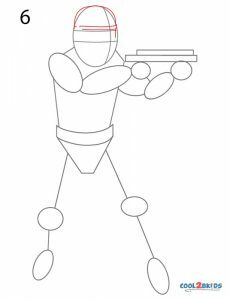 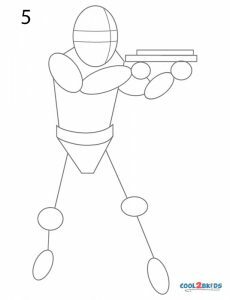 Step 18: Sketch the rifle-like weapon. Step 19: Detail it with tiny circles, rectangles and tubes. Step 20: You can make certain areas black to highlight the majorly white costume. You might be reminded of the Star Wars saga after you complete the drawing. 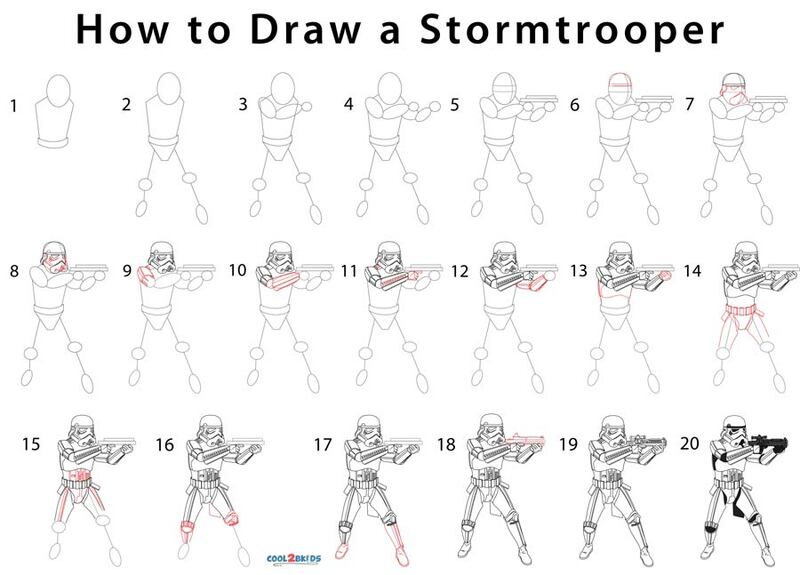 So don’t be surprised if you find yourself watching the movie after the fun activity. A little Star Wars indulgence once in a while isn’t bad, what say?